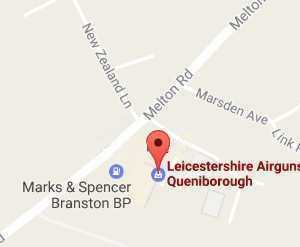 Here in one location are reviews of Leicestershire Airguns. Why? Well we are rather proud of our reputation. Mark Beardsley recommends Leicestershire Airguns. 22 December 2018. Jake John recommends Leicestershire Airguns. 13 December 2018. Nigel Gill recommends Leicestershire Airguns 1 December 2018. Aidan Bent recommends Leicestershire Airguns 4 October 2018.
quality service from experienced and knowledgeable staff and a great product range. Raymond Watson recommends Leicestershire Airguns 7 September 2018. Its the ONLY local place I have been where you can gain unbiased advice and a great selection of whatever you need. No pressure selling either! Victoria Archer reviewed Leicestershire Airguns 5 star 6 September 2018. 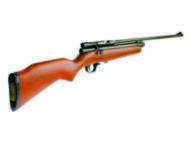 Great service, helped 2 airgun novices select their first air rifle, no hard sell just plenty of worth while advice. Looking forward to the start of my new hobby. Thanks again. Anthony Cox recommends Leicestershire Airguns 27 August 2018. Jordan Berry reviewed Leicestershire Airguns 5 star 19 July 2018.
excellent shop. Stock just about everything you could ever want rifle . Target and ammowise would highly recommend. Excellent advice from Phil on which pellet was most appropriate. Ian Botting reviewed Leicestershire Airguns 4 star 13 May 2018. Neil Thorpe reviewed Leicestershire Airguns 5 star 1 May 2018. Aidan Oliver reviewed Leicestershire Airguns 5 star 21 April 2018. Great shop, massive stock from high end to budget. Good part ex terms, and an expert guy behind the counter. Craignlouise Jordan-cocker reviewed Leicestershire Airguns 5 star 30 March 2018. Tom Edwards reviewed Leicestershire Airguns 5 star 9 March 2018. Really great service, very relaxed atmosphere. I asked a lot of questions and Phil and his wife were happy to answer them and chat. Customer for life now. Richard Slack reviewed Leicestershire Airguns 5 star 17 February 2018. Excellent advice, no hard sell! Clearly New what he was talking about. Took time to show me the full range of guns on offer (I'm a complete novice) also told me about local gun clubs. An all round great experience. Huge range of new and second hand rifles at great prices. Mikey Clarkie reviewed Leicestershire Airguns 5 star 1 February 2018. Ben Weedon reviewed Leicestershire Airguns 5 star 14 January 2018. Matthew Bocock reviewed Leicestershire Airguns 5 star 2 December 2017. Went today to get a rifle for my son. The staff were knowledgeable and really helpful, they took their time to ensure we got exactly what was best to get Oliver set up properly with a gun, scope and accessories. Loads of choice to suit any budget. Faultless. William Hunter reviewed Leicestershire Airguns 5 star 4 October 2017. Excellent service from Phil and his staff, extremely knowledgeable and some great rifles in. Once again got a great rifle from Phil. Simeon Brant reviewed Leicestershire Airguns 5 star 9 September 2017. John Hammill reviewed Leicestershire Airguns 5 star 8 September 2017. Shawn Elliott reviewed Leicestershire Airguns 5 star 18 August 2017. Was very impressed with the service when I nipped in for the first time. Was looking for a starter rifle for my daughter. Was put onto the right one, after she was encouraged to try lots out. To top it off, was tempted by a opportunity to pick up an Air Arms for myself. Great staff, great choice, low prices and made to feel welcome in the shop. You've got the right idea Leics Airguns. Sean Cramp reviewed Leicestershire Airguns 5 star 3 August 2017. Duane Bray reviewed Leicestershire Airguns 5 star 24 June 2017. Well stocked shop and friendly knowledgable staff. Been there 4-5 times now and not got a bad word to say. And on a plus they are based quite close to me so mega convenient. Anthony Bodycote reviewed Leicestershire Airguns 5 star 21 April 2017.
excellent shop...great advice...no pressure to buy...very friendly staff...great selection of new and used guns and everything you could possibly need and more, from back yard plinking to full on Rambo...well nearly!! Leigh Lonewolf reviewed Leicestershire Airguns 5 star 25 March 2017. You need to keep customers informed on what stock you have as you did before really. Warm welcome and nicely set out. And much knowledge to be had. Great shop and even better service. Upgraded and fitted my new sights with helpful advice..
Great people very good service, happy for you to handle the rifles. Can't wait to buy my new gun from them. Brilliant service & extremely helpful. 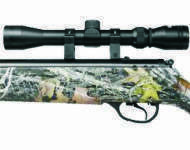 Wide choice of air rifles and able to recommend the best air rifles for you. Very good gun shop. Welcoming staff, very good advise, extremely helpful information and I'll certainly recommend. Looking forward to my next purchase already. Thank you Phil and the gang! Can't recommend this place enough! Went in today for the first time. No pressure sales, extremely helpful and useful advice. Helped me find exactly what I was looking for! Top guys there!! 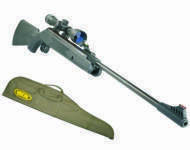 A great shopping experience for Air Rifles. Helpful customer service, advice, and great prices. I would highly recommend this shop if you are looking to buy Airguns. Thanks Phil for a no hassle transaction. 5 Star seller. I will be back, and tell all my Airgun buddies. Brilliant service 100% honest highly recommend. Good little shop with plenty of choice! Would recommend to anyone interested or well into the hunting game! Also a great selection of Airsoft & knives which is a bonus! Brill service for phill and his son very friendly and helpfull. Top guys and top guns, iv bought various items from these guys including bolts 4 my crossbow, a junior bow 4 my nephew and a new rifle 4 my own little xmas prezzy, both always happy 2 help, good prices great quality and because of this I wouldnt shop anywere else. Top bloke!! Came out Xmas day to drop off a missing part to my new air rifle plus a extra accessory to try out!! Top service, very good and honest advice on all airguns/rifles.. Phil from Leicestershire airguns is a top bloke.. if you need any help ask him.. also his prices are fair and his customer service is excellet. I would advise anybody who wants to buy an airgun/rifle speak to him first. Great customer service, phil's knowledge is invaluable, 10/10 would buy from Leicestershire airguns again and again. I've bought a couple of things from Leicestershire airguns. Last thing I bought was an umarex pistol. It was fairly priced and delivered to my work. Great service thanks. Always a friendly service from phill and pip. Reasonable prices I have purchased both new and 2nd hand airguns from them. Purchased my first air rifle from here and the service was great. Whole experience so good I then purchased a second air rifle within weeks and again a great service. Had an issue with second gun and Phil was most helpful in helping resolve quickly. Bought a smk xs19 art phill carried out great work in tining the rifle and recieved fantastic service when I went to collect, phill is a nice bloke and a propper gent I will be going back for my next rifle thanks phill. I am happy costumer off Leicestershire Airguns from few years and the customer service was always superb, Great quality and nice people :) recommend to anybody who is looking for new or secondhand air gun :). Had a couple of guns from Phil, great quality and great prices. I also know that if I need some advice for anyhting I can drop him a line and he will return any message as soon as he can! These reviews have been collected from several sources. These are genuine reviews and are unsolicited.